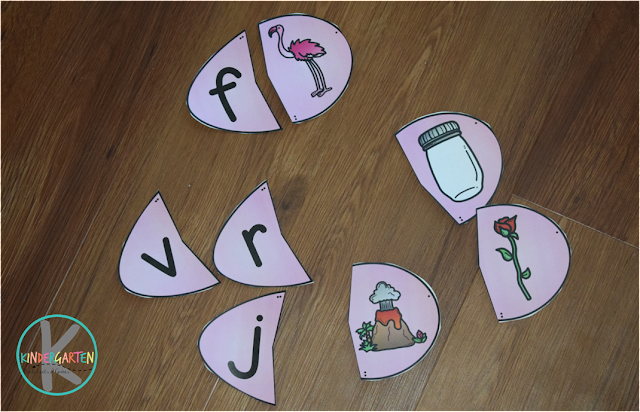 Make practicing phonics fun with these free Phonics Easter Eggs. This is the perfect educational activity for Kindergarten during Easter. 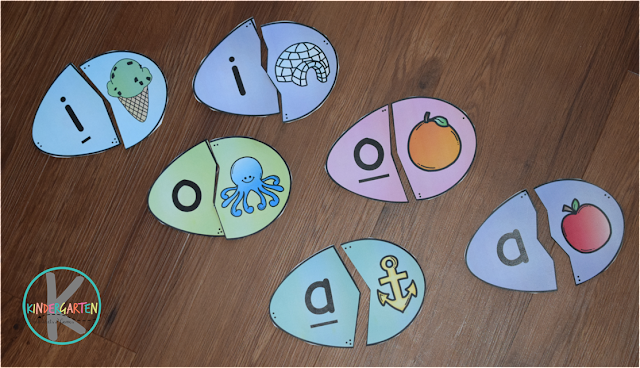 These colorful Phonics Easter Eggs are such a fun, Easter themed activity that kids LOVE! They are so colorful, with cute graphics. You just might have kids begging to do school work! First you need to print the download in color on cardstock. Because this is a puzzle that kids will be handling a lot, I highly recommend laminating the pages for durability as we well. Finally, cut apart the eggs. Just print in color on cardstock or laminate for durability then cut apart. There are lots of different colored Easter Eggs. 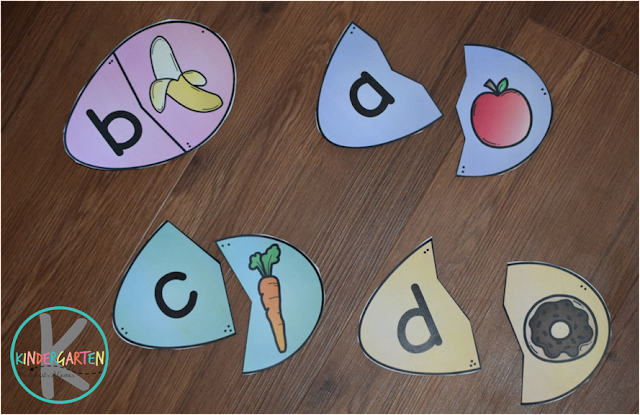 Kids will be able to semi-self check seeing that both parts of their eggs are the same color, but there are a couple different letters per color to make it a little challenging.